Reduce your energy costs with solar energy. Form submitted correctly, we will contact you soon. More than 25 years being reference in the Spanish solar market. TFM started its activity in 1992, promoting solar energy as a clean, sustainable and future energy. 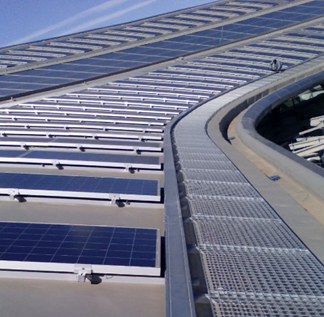 We are dedicated to the design, installation, legalization and maintenance of photovoltaic solar energy installations. 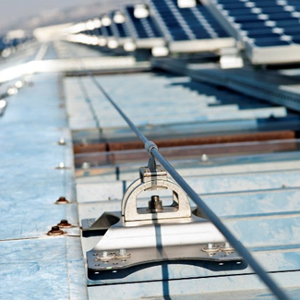 We are specialists in photovoltaic integration and solar installations of self consumption. Operationally integrated within the COMSA CORPORACIÓN group. Our ability and flexibility allow us to adapt our offer to your needs. The high specialization of our engineers and technicians is our guarantee of excellence for the success of your project. We are pioneers in the promotion of new technologies and we are committed to the constant search for innovation. TFM gives you the guarantee of your experience with the support of the COMSA CORPORACIÓN group. 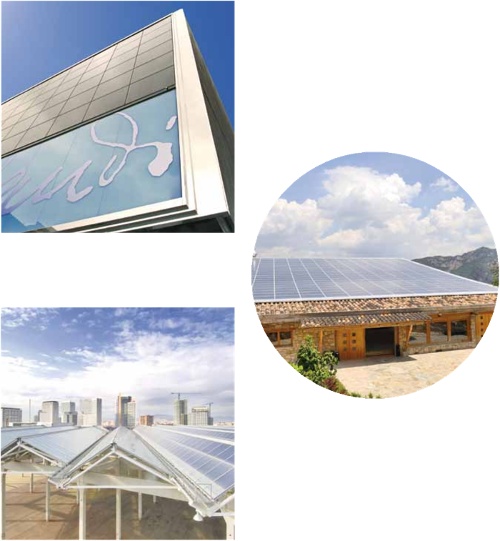 The long experience of TFM and the many installations realized guarantee the quality of all its activities and allow to offer global solutions of photovoltaic projects with the maximum reliability and security. Our extensive experience in the field of solar energy, coupled with the strength of the engineering and construction business group COMSA Corporation, make us the best ally for any project you want to do. We guide you from the beginning to propose the solution that best suits your needs. 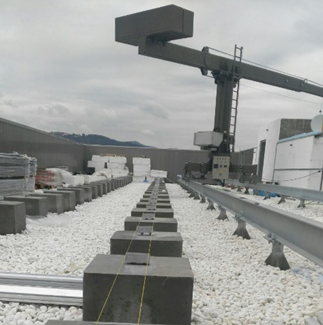 We have highly qualified technicians in all disciplines of construction: both in civil works, in structural calculation and in high voltage, among others, that allow us to undertake any challenge that we pose. 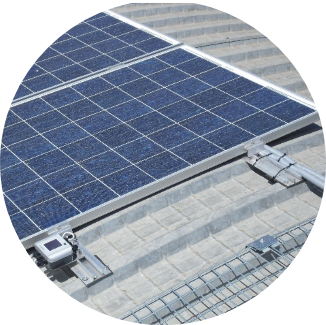 The lifetime of a solar installation can exceed 30 years, so a professional execution of its installation is of vital importance. Rely on an expert firm to insure your investment. 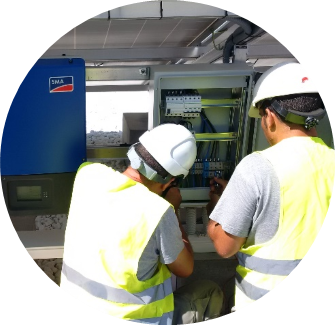 More than 25 years and 200 installations put us as a reference company in the sector and allows us to face with the maximum guarantees any type of installation, ensuring quality, reliability and safety. The first step we take is to study how energy consumption is in order to determine the best self-consumption solution. 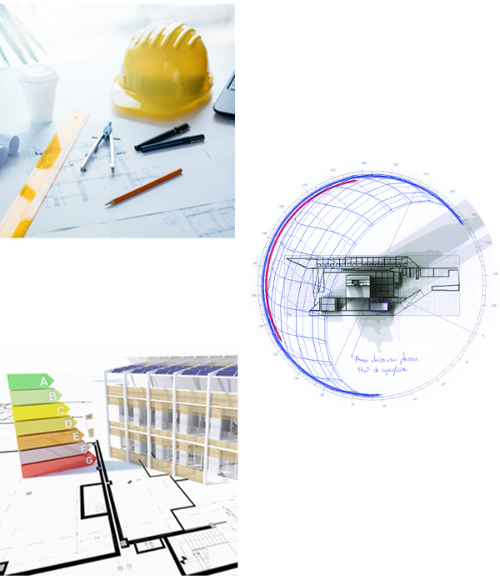 Subsequently, we designed all the necessary engineering to offer the best solution. 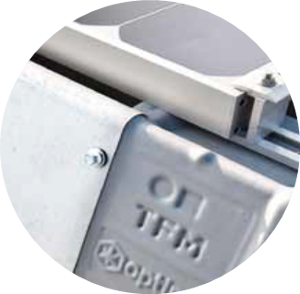 In TFM we build the installation with the best materials and with the maximum guarantee and security. Once installed, we take care of all the procedures to put it into service, as well as maintenance throughout its entire life. The after-sales department of TFM carries out the operation and maintenance of the facilities, both in its own and third parties. This O & M is performed both preventively to ensure the correct operation of the equipment and the availability of these throughout the year, as well as corrective level through a quick and efficient action in case of failure. 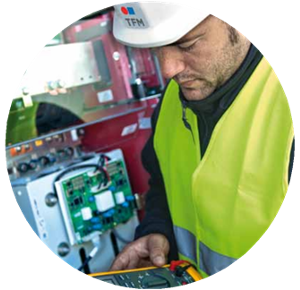 TFM guarantees a long trajectory in the sector, as well as a current portfolio of O & M clients that responds to the high quality of this service. Self-consumption allows a consumer to generate electricity for their own consumption. The self consumption solar installations also allow to reduce their energy dependence and are characterized by being efficient, profitable, respectful with the environment and durable. Royal Decree 900/2015, approved in October 2015, provides the necessary framework for the development and implementation of self-consumption. The self consumption solar installations use the solar radiation to generate electrical energy that is consumed directly, avoiding the purchase of energy from the distribution network. 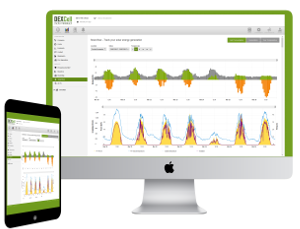 In those moments when the electrical demand is lower than the energy generated by the solar installation, the surplus energy can be poured into the distribution network.br> In those other times when the electrical demand is higher than the energy generated by the solar installation, it can continue to be consumed from the distribution network. The first step is to study how it consumes energy in order to determine the best self-consumption solution. We then perform all the detailed engineering to design the best solution. We construct the installation with the best materials and with the maximum guarantee and security. Once the installation is done, we will take care of all the procedures for putting your plant into service and maintaining it throughout its entire life.